Maurizio Nannucci's Exhibition catalogue at Sprengel Museum Hannover in 1997. 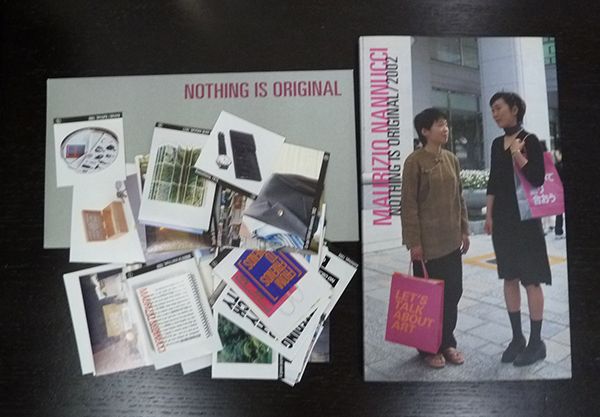 This is not only exhibition catalogue but also an artist's book the viewer alone decides whether to unpack the enclosed sticker collection, sort them and stick them in. By participating in this way the viewer can complete the course laid out by the artist or can choose to leave the catalogue in its unfinished state.